To create USB Bootable requires understanding on how the image is booting and the solution may not applicable to different images. So, I am looking for a way that we can create USB Bootable to boot ISO image as they were boot from CD/DVD disc. Fortunately, I found the solution and I script it out for fast USB ISO Bootable creation. Since USB Disk partition with FAT32, there is file size limitation to 4GB. 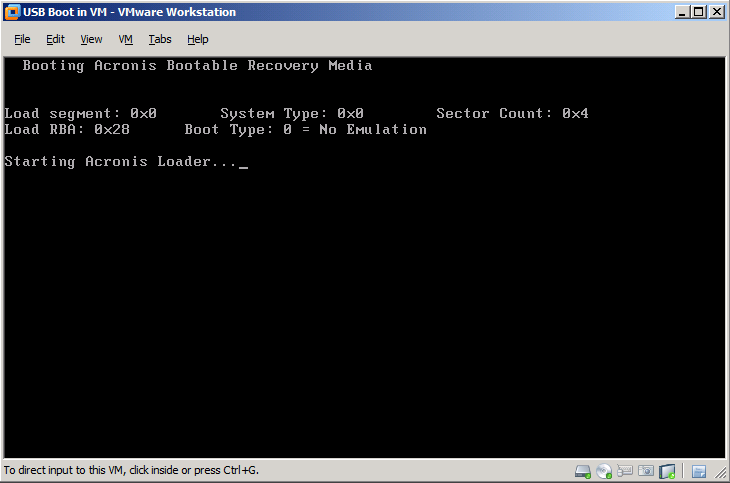 In below screenshot, It is booting Acronis Recovery ISO image from USB. Log file will be automatically opened using notepad. Your USB ISO Bootable is ready.